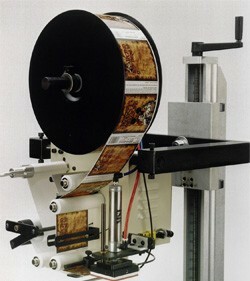 The TAL-3100C Continuous Duty Tamp Label Applicator is designed to provide years of trouble free service. Using a brushless DC motor the TAL-3100C offers a maximum web speed of 500" per minute. Labels ranging in size from 1/2" x 1/2" to 5" x 5" are easily accommodated. The unique compact size allows it to be used in a number of applications where space is at a premium. Maximum Label Size: 5" x 5"